An evaluation of energetic responses, the determination of frequency and vibration, followed by the application of sound/vibration of calibrated tuning forks upon indicated acupuncture and cranium points... and then the change, the balancing, the opening flow of felt energy, the transformative process... this the APOGEE Acu-Tone™ experience. Each testimonial statement speaks consistently of the experienced benefits. Amazement is expressed by the changes seen and felt in facial expression and tone, in the newly felt ease of gait, to the relief of stiffness and pain, to a deep feeling of relaxation and calm, to a clearer feeling and more encompassing vision, to a newly perceived perception of self and a deeper appreciation of the internal Universe. APOGEE Acu-Tone™is indeed a paradigm, a process with consistently beneficial results. Each time an APOGEE Acu-Tone™ evaluation takes place there is an opportunity to expand and refine one's self awareness. The experience of the 'body' in response to specific line configurations, provides one with the direct experience of the mind-body connection. As the evaluator, it is deeply satisfying to see a new sense of power and confidence emerge from the 'student' as the evaluation takes place. It is the 'body' that reveals the need directly. The feedback from the 'body,' via the use of APOGEE Cognitive Kinesiology™, allows the student (the term student is used for we are ever in the process of learning and development) to become keenly aware of the effect of his/her own experience. With specific tuning fork placement on cranium points, acupuncture points and meridian pathways, the body receives the vibratory frequencies indicated by the evaluation process. Having a charting of responses before the attunement takes place, and having an opportunity, upon conclusion of the attunement, to be provided with a post evaluation, allows the student to compare and contrast the before and after states of being. It is most gratifying to hear the benefits expressed, the changes noted, the appreciation felt, and the sense of renewed possession and faith in self. Yes, we are indeed responsive to vibration. APOGEE Acu-Tone™ provides a vibratory experience that brings balance, stress reduction, pain relief and a consistently verbalized feeling of well being. There is much depth to the offerings of APOGEE Acu-Tone™ ... among the many aspects is the 'testing' of what the body needs to maintain balance. Nutrition and the specific nature of one's diet is important to take into consideration all across the age span. We each have different needs at different times. Knowing what these nutritional needs are, from the perspective of the body itself, allows one to gain mastery over self. One must understand symptoms, moods, and health, from the perspective of consciousness and the physical signaling our consciousness brings to each organ and ultimately to our totality of BEING. 'Testing', rather than assumption is the key to resolve. A full inventory of 'symptoms' and 'feelings' defines the first step... awareness is ever key. Before the Acu-Tone™ session begins, one is instructed to be self observant, how one walks, how one stands, how one breathes, what one sees when looking in the mirror. One takes note of facial expression, lines, visual field, alignment of shoulders, position of head in relationship to neck. All of these observations are put into somatic memory. Upon completion of the Acu-Tone™ session, the same observations are made. The differences are noted with pleasure! So when inclined to engage in such an exploration, do know I will be pleased to offer guidance. Rose Marie Raccioppi, Founder/Director, APOGEE Acu-Tone™. Testimonials speak to its welcomed results. "The APOGEE Acu-Tone attunement is a deeply rejuvenating experience followed by an amazing sense of self alignment on both the physical and mental levels. My face immediately looked years younger and I felt astonishingly increased mental clarity. The immaculately clear sense of physiological and cognitive “oneness” which I’ve received from APOGEE Acu-Tone™ has drastically improved all aspects of my life. "(CSF, June, 2012). "I had come to the APOGEE Acu-Tone system knowing nothing of it, having no expectations or ideas about it. Very soon after I began, I already felt something very different than ordinary and yet vaguely familiar. There was a deep feeling of intelligence and trust as if being in a womb where it was safe to continue whatever this process was. The feeling warm and bright, was like a deep nurturing that had been missing for far too long. Something in me finally stopped and, I came into contact with a new process - one that was perhaps going on all along. The further along in the experience the more clear the feeling of coming home became. Towards the end of this experience there was a great sense of relief and even remorse for realizing I had been living so long without this experience of myself. " "The APOGEE Acu-Tone attunement is preeminently a process of recognition. Even after the attunement something continued to emerge and I realized this was quite literally a RE - Cogntion. A silence emerged where I could appear, where I could see in a new way. With this guidance, I discovered a new way to look in, a way to see that could actually find my alignment. I realize I had been all along this much quieter voice. With gratitude for a truly inspired transformative process, I watch this new intelligence grow into my life... " I Thank You Rose Marie..." (CAF, June, 2012). "From my own personal experience, after the adjustment, the pain I had felt before was gone almost instantly. May be hard to believe, the proof is in the pudding." (Matt Fascaldi, July, 2012). "My experience from one Acu-Tone session was incredible! I had no expectations going in but came out with profound results. I felt like I was "refitted" to my body, I was more comfortable in my own skin than ever before. My voice felt clearer, stronger, I could communicate what I was thinking and feeling so much easier, and I even felt taller. I recommend this to everyone I know, it's an incredible way to "tune yourself up" and get back into harmony with your body." (Mike Scully, July, 2012). "Rose Marie, thank you for opening up the deepest resonance I've ever felt. Acu-Tone's process is both energizing and relaxing, helping me into a state of empowerment and contentedness. The best part is your unique system of assessing what stresses I'm facing, and determining without words what in my body needs attunement. Thank you so much for your work with me." (Mike Maturo, July 2012). "Rose Marie - I wanted to drop a quick note to let you know how things are progressing from our attunement session on May 22, 2012. As I mentioned before, I felt immediate results, a lightness of body, a peace and calm within while being totally relaxed. I am happy to say, that I continue to feel relaxed, centered as well as maintaining the essence of peacefulness within. This was a wonderful experience and has made a difference in my well being overall. Thanks for everything!" (Terry Haas, July, 2012). Peaceful and focused... "When I was told I was being taken for an attunement, I truly did not know what to expect , but I remained open minded and looked forward to what the session would bring to me. So Glad I did !!! The Acu-Tone attunement left me with a calm I had not experienced in quite some time. It left me feeling peaceful and focused. Thank you for this extraordinary session !!! I look forward to my next session, which cannot happen soon enough !!! With much appreciation to Rose Marie Raccioppi !! " (Gina Conte, July, 2012). “...if we think of our body as a very sensitive fine instrument of music then we can comprehend, symbolically through metaphor, the necessity to proper tuning…every time a musician picks up a fine sensitive instrument it must be re-tuned before it is able to be in harmony with itself, as it has fallen into discord and lax from idleness. so too with a human being, when we awake to create the music of our day, we must respect the fact that we must re-tune our inner resonance with harmony or each note that emanates from our being will be discordant and effectively lose the music of our true potential and all people in our environment will receive is noise.” -sst July 28, 2012 by Shannan Suzzette. "During the session, I could feel my breathing become easier and lighter as my sinus's opened from a bit of congestion. I was able to deeply relax because I felt that I was taken care of. Rose Marie's way is that of Mother. Under the organic cotton soft sheets and upon the mat, It was like I was in the womb again. In a metaphoric way the experience was a return into the womb, into the dark place of rest and protection and especially into the innocence. The vibrations buzzed as I unified with the sounds, clearing away all stress and inviting me to let go and release that which I have been holding on to. After the session, Rose Marie's soothing voice brought me back into the room through cueing of bodily awareness and gentle movement to re-awaken me to the room. It was a mini Re-birthing of sorts. From darkness into light, I awoke bright eyed and anew, feeling energized and alive, eager to explore the brand new day. I remembered again the innocence that made me an eternal CHILD of the universe. I remembered again the divine PLAY. Hip hip Hooray!" (Patti Kelly, July, 2012). "My belief in the connection between the body and mind are as one had naturally motivated me to try Acu-Tone attunement. Acu-Tone attunement is a deeply rejuvenating healing experience that goes to the root of the problem. 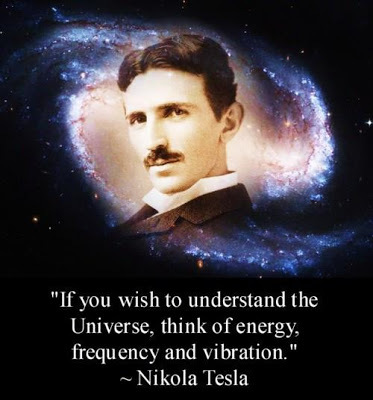 The benefit of energy through sound and vibration was realized immediately and validated the belief and desire to keep an open mind, as I investigate methods of wellness beyond the world of prescribed medications." (Karlo Sauer, July, 2012). "Recently, I had noticed an unevenness in my shoulders when I looked in the mirror, and I was also stressed from my job. I thought about going to the Chiropractor to get an adjustment. I decided to have an Acu-Tone session instead. During the session, I felt very calm and peaceful as I concentrated on my breathing. Immediately after the session was over when I opened my eyes, I felt a lightness in my body, almost as if I was floating. I got up and looked in the mirror and saw that my shoulders were now even and that my face actually looked younger and stress free. A feeling of well being and energy was immediately noticed throughout my body. Thank you Rose Marie! I look forward to my next one ~" (KBK, July 2012). Refreshed and Recharged..."Many many thanks for the wonderful Acu-Tone session. I felt refreshed and recharged afterwards." (Lillian Firestone, August, 2012). "Hi Rose Marie, Just wanted to send you a quick note to Thank You again for my session on Saturday, It was a nice change to completely relax from my Saturday afternoon "norm" of running around doing my errands. Thank you very much. I had such a calm feeling when I left, it was very nice." (Gina Conte, August, 2012). "The attunement was extremely relaxing. From the feeling of warmth, I could tell that circulation was being stimulated. But most noticeable to me, afterwards, was that my hips and lower back had loosened up. I could tell because my walk changed. I left with a bit of a wiggle!" (PNS, August, 2012). "Recently I went running and afterwards my leg bothered me greatly. This discomfort went on for a month until I was treated with APOGEE Acu-Tone. I felt better right after the session, the pain was relieved right away. Thank you for the session, I feel like I really benefited." (Matthew Fascaldi, August, 2012). "My session with you brought me back to a sense of balance. Balance is a word that I used to use all the time without really knowing what it meant or felt like. I physically looked different after and so did my friend that also experienced the system. I also felt different and more clear. But, it wasn't like a "WOW" type thing......it felt natural. Going back to a place of balance just feels natural. I would recommend this to anybody and I even offered 4 people the opportunity and told them that I'd pay for it. What really makes it worth it for me is that it's more tangible than other modalities that I've tried. Everything is very grounded and easy to see, feel & understand. It's not a "new age" sort of thing where you acquire some elusive "good vibes." It feels concrete and the chart helps. It's something that I think everyone should experience and I'm definitely going back!!" (Ivan Petersel, August, 2012). "I have to tell you, I experienced such a great sense of healing when I was with you and you had completed the session, I was floored!" (TS, November, 2012). "Today, I visited Rose Marie Raccioppi for a Attunement Therapy Session ... the stress of losing Zinni has me very off balance in so many ways. Now, I am Blessed with balanced Chakra's and connected to the energy of the universe. She also did a Acu-Tone facial that worked like Botox to erase all the stress lines and open up my sinuses !! I feel renewed, refreshed and re-energized to continue my search for Zinni. Rose Marie you are a wise and gifted woman ... many many Blessings to you !! xxoo " (Patti Byman, November, 2012). "Rose Marie has something worth exploring - it's a type of therapy, a way to figure out what your body is physically feeling in reaction to your deep thoughts and beliefs about yourself and the challenges in your life." (Mike Maturo, January, 2013). "My friends in Rockland, Westchester, NYC, or anyone willing to travel for a positive life changing experience; if you or anyone you know is dealing with stress, ailment, illness, pain, etc. I highly recommend you give Rose Marie Raccioppi a call ...it costs you NOTHING for phone consultation. She will advise you on how she can help, and if so will assist you in recapturing your 100% of being so you can be the very best YOU possible....completely natural, no medication....I am NOT getting paid for this just sharing my personal experience! One of the best people I've ever had the pleasure to meet and IMO everyone should visit her at least once. Feel free to reach out to me if you want more info... "
Rose Marie's work is truly a special experience. Her expansive trainings and exceptional intuition guide the individual towards healing from various planes. Working with Rose Marie means confronting and resolving all that is holding you back from being your full, free self rather than a victim to any negative echoes left over from unpleasant life events. This, in turn helps resolve the physical manifestations of those experiences. Her work allows you to take back the control of all you are destined to be.